If you didn’t know, I went to school out West, and enjoyed rock climbing a few times. Both in climbing gyms and in the outdoors. It’s practically a religion out there. But rock climbing is really a great sport. Not only is it a great workout physically, but also mentally – and dare I say it — spiritually? If you’ve ever been rock climbing – even if only once – you know, that you will eventually come to the moment. It is the moment where you’ve gone as far as you can go, comfortably. In other words, you’re stuck. You’ve got your handholds and your footholds and you’re feeling really good right where you are. The only problem is that the next handhold is just a bit too far out of reach. So you freeze. You stop progressing and stay stagnant in your “safe spot,” knowing that in order to get to the next handhold, things are going to get dicey. I don’t think I’ve ever had a climb where I haven’t had a moment like that. It’s a challenge. It’s what makes climbing thrilling and exciting. There are so many parallels between life and climbing. We all have moments where we’re comfortable. We feel as though we’ve gone as far as possible without enacting fear or danger. Maybe in a job, or at school. Or a habit that we’ve grown accustomed to. We’re comfortable, and unwilling to let go. Especially in recovery. You’re progressing, but have gotten to the point of stagnation. Or a rut. And you’re far enough “off the ground” that you feel like you don’t need to go any further. Because in order to get to the next level, in order to continue on, you have to let go of your place of security, and actually reach for that next grip. You have to leave where you’re comfortable in order to progress. And that’s a scary thing. Because you’re climbing on a wall, or are on the side of a mountain. The danger is real. There is a very real chance that you could slip or fall or not make it to the next handhold. You’re connected to a rope. You’re in a harness and have carabineers and a bilé system that is going to catch you if, by chance, you do miss the grip, or your foot slips. No one in their right mind would ever go rock climbing without setting up the proper safety system. So it is in life. We’re connected to a rope. A bilé that’s going give us the courage to reach for that next grip and will catch us if we fall. And I bet you can guess where I’m going with this: but that safety rope we’re connected to is Jesus. I’m not going to get preachy, I promise. So I’ll leave you with this. Leaving a spot of comfort is hard. You’re suspended in the air, literally clinging to the side of a cliff for dear life. It takes some serious balls to let go of that grip to reach for the next one. But we’ve got to, if we want to make it to the top. For my recovery, the last things I had to “let go of” were a) truly giving up excessive exercise, and 2) learning to love the young woman staring back at me in the mirror. Maybe that next grip for you is standing up for yourself in a toxic relationship. Or enrolling in the college credits you still have left. Maybe it’s leaving a negative friend group, or applying to that dream school or dream job. Maybe it’s going to that AA meeting. Or simply, taking a good, hard look in the mirror at why you’re unhappy or hurting, and facing the truth. Whatever it is, believe me, I know how comfortable your “safe spot” can be. But the freedom and the view from the top of the mountain is worth stretching out that arm, facing the possibility of falling, and letting go — because He will never let us fall. He loves us so much that He’ll always be there to catch us. Freedom is waiting to be had. It’s up to you. Beautiful and insightful post by a beautiful soul, inside and out. I agree with this blog post so much! It is vitally important to constantly push yourself out of your comfort zone and you are right it is beyond your comfort zone that freedom lies. I had severe OCD. I could not leave the house overnight at all for over 5 years, could not therefore ever go on holiday, or to stay with anyone or abroad and had to do crazy OCD checking rituals 10 hours a day. My comfort zone was a prison. I had to push through my terrible fear of leaving the house overnight, of leaving London overnight, and of going abroad even of driving on a freeway. I have made such progress with pushing outside my comfort zone with the OCD that I am experiencing genuine freedom now. I love it! As a person who is in no shape to exercise, I am awemazed by what you climbed! And inspired by you sharing your walk and climb of faith!! Thank you for your writing! Beautiful!!!! Change is so worth it but yes so hard…. Can I just say that picture of the cat made me laugh out loud! Oh that was funny! On the real side, though, another beautiful post. Thanks so much. Haha oh good! I’m so glad you had a good laugh:) seriously though. Thank you:) I so appreciate your continued readership, T. Have a great night! My goodness, ME TOO! It was ironic that my cat was sitting right at my feet at the time. I just could not help but to literally LOL! You can have that rock climbing, I climb up a steep papa rock hillside on walks in the bush, the only way I could come down was lever myself down on my behind, was so scared, would never try again. So glad you enjoy it though, not my cup of tea. Love the look on that cats face. Good for you. Super post. Thank you so much for this response. Such kind words. Moving can definitely be scary, but there’s nothing like the confidence independence gives you. And the best part is that you can always stay in touch with family. They’re only a phone call away. And I’m sure they will cheer you on. Thanks for stopping by! You’re words are a comfort to my heart. Thank you ever so much. Dear friend. Each day that you write I’m fairly certain that you place a smile on God’s face. You’re welcome Beautiful B. Notice I did mention bones. The reason is because in Ezekiel’s day dry bones came to life. It pleases Anthony to know this. Hi , just wanted to let you know that I will doing news feature on the cost of beauty. The article will be posted soon. You’re a soldier in the fight. I just read your new post. And I have something to say, to going to be very short because I’m very tired. Finally brethren whatsoever things are pure, whatsoever things are just, whatsoever things are honest, whatsoever things are true, what’s your things are lovely and whatsoever things are of good report, if there be any virtue think on these things Paul’s letter to the Philippians chapter 4 verse 8. Your words and maze me I asked you to continue to fight the good fight and run the race in faith. What you explaining your ED post is exactly what Jesus can do for you and for anybody else suffering from such a devastating devilish disease. I am proud to call you my dear sister in Christ. Thank you so much. Yes, I love that verse too. So much comfort in His word. Amen to that. Continue to write things of God in this hour, you may not know it or see it but with every single blog post you write each one has their own little testimony, those testimonies can go forward and reach thousands. Your blog post could be a glory to God the Father God the Son and God the Holy Ghost and it could bring many to salvation. Keep writing the things of God he has great plans for you. Something is racking my brain. I am blown away by your love and knowledge of the word. Used to day have no love desire or knowledge of the word like they should. And so my question to you is, however did you get so filled up with the love of God but not only that you also understand his judgments in a profound way. What Minister are you listening to to teach you such things? Question to you is how often do you study the Bible? Thank you. I don’t read the bible as much as I should. But I do listen to a lot of Christian podcasts. Hands down my favorite podcast is Fr. Mike Schmitz. He is amazing and I’ve listened to every single one of his homilies. I have never listened to a Christian podcast which is odd because I want to start podcasting above God seeing as how my background is in radio and journalism. I personally love podcasting but I’ve never really listened to Christian podcast in before. Would you care to send me some links to some of your favorite ones? Its okay I forgive you. I think you’re better than the friar though. Just saying! Well I really only listen to one preacher. However because of our friendship I will listen to a podcast by the priest. In one paragraph: Could you define what it means to be beautiful? I must say, I have decided to go undercover to figure out the real purpose behind beauty. But I have to be very truthful. You are a big reason why so many of my blog topics all around the issues of everyday people. 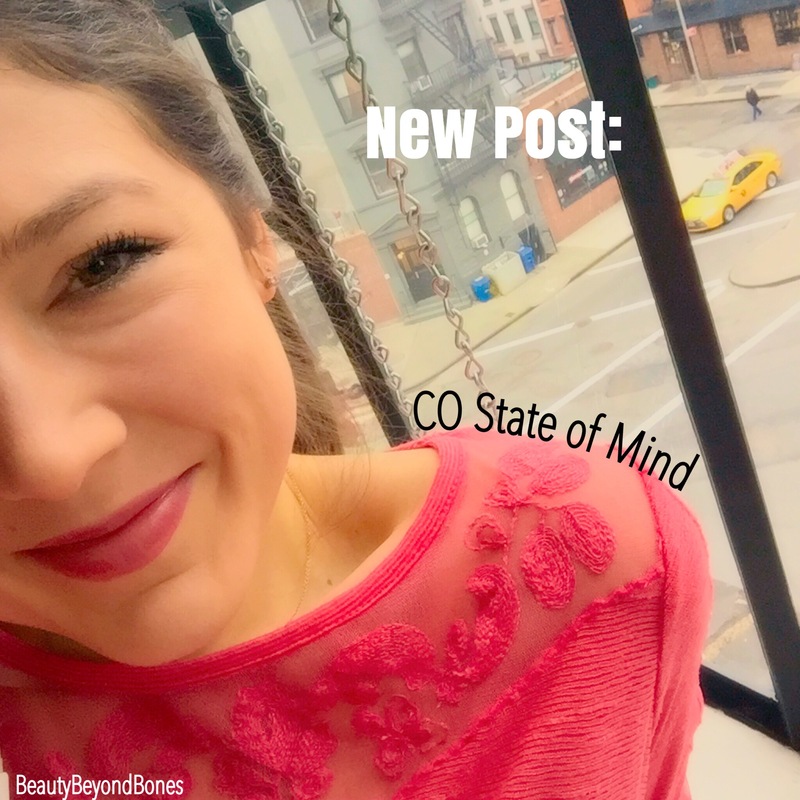 I’m going to be looking back at your blog post titled battle of the mirror and I’m going to promote it in my upcoming blog post titled don’t let the mirror define your beauty. If I’ve said this once I’ve said this a thousand times, you as a person are more than just bones you as a person are more than just one that is defined by hair and makeup artists. You are courageous because you are His. Day 2 post will be about the tax collector and the Pharisee. My dear friend, at this time I come to you by request. The reason I ask you this is because you know more about me than most college newspapers do you. I ask you to pray for me during this time as in dealing with a family issue. My mother is set for surgery but her one kidney may not be strong enough to go under. Give a listen to Reverend Ernest Angley. You know what I have to say something to you. I know it’s not politically correct but I started off a sentence with you know but I’m going to say it anyway. I want you to really take this in. 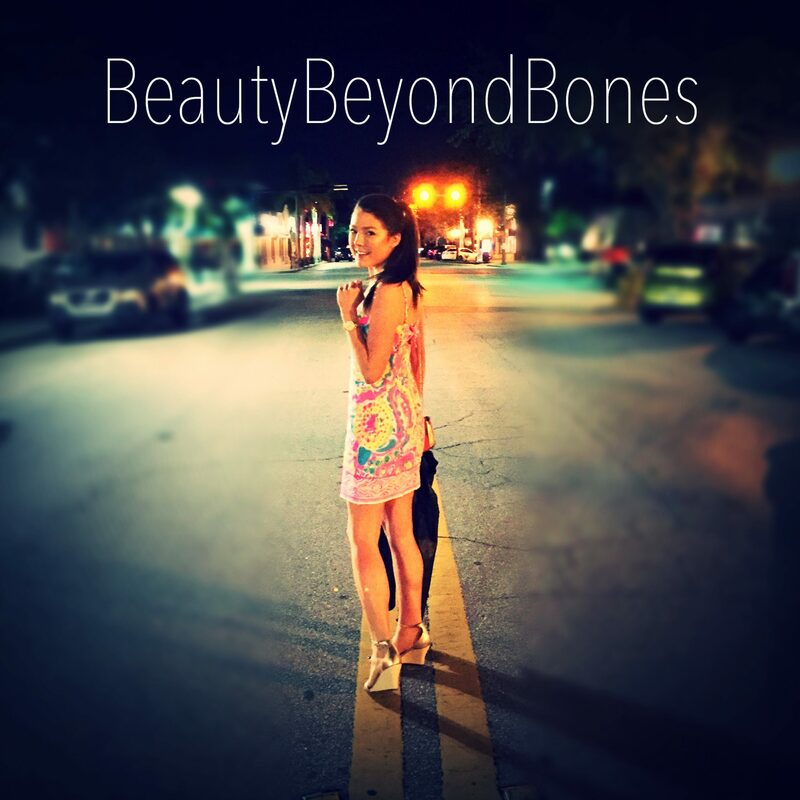 Earlier tonight you posted blog about being on the eve of your one year anniversary of beauty before bones I want you to know 5 things. Number one, your impact has been evident in not only my life for many others as well, you write like a true poet. Number 2 the reason I started to replace the book the footprints of funny feet is exactly the reason is exactly around the time that you started beauty before bones blog. Number 3. I’m extremely happy for you and your achievement with the blog. I also know that it’s nice to share common beliefs of faith with someone around the same age as me. In this country, nobody wants to know Jesus, nobody wants to know God, nobody wants to know the Holy Ghost. it gives me strength to read your blog post. It strengthens my faith, it strengthens my belief and most certainly it telltale sign of the time and dedication that I wish to give to the Lord. I don’t think you for friendship instead I thank you for sisterhood. Number 4. just by the way you write, I can tell that Jesus has your heart and you have his. Number 5 anything, and I do mean anything that I can do for you to help you I will do. I’m here to serve others the love and compassion of Christ. there’s a song we sing at church to which I really enjoy. the song is titled you can count on me Lord and it’s one of the most beautiful songs that I have ever heard. the song itself is a true testament and it should echo to all believers about how far we are willing to go as members of the Bride of Christ. I want you to try something , every morning before you leave the house put on the armor of God listed in the book of Ephesians chapter 6. ask God to anoint your eyes do that during the day and night you only see the things that please God. please know that I wish you well in all things. I wonder if you and I could study Scripture together sometime through blogs. Aw thank you so much Veronica! I really appreciate it:) thanks for stopping by! Hugs! Aw thank you Chanel!! Yes, praise God for THE Harness! ☺️☺️ what a comforting and peaceful truth to dwell in. Thanks for stopping by! Enjoy your evening! Well done, as always. Whenever I start reading, I always have some idea of where we are going, but you make the journey a thing of pure beauty. Great Post!! I use mountaining climbing as my metaphor for healing. One of my greatest joys was hiking up Grays Peak. My first (but hopefully not my last) 14teener. Great post! My youngest daughter and I started indoor rock climbing a few years ago. We love it, and I have always marveled at the life lessons in the moment of being stuck, or encouraging someone on the wall that can’t quite see how easy the next step is. Same with running. Thanks for your insight and sharing your healing. You have the gift of encouragement. Thanks for talking about loving yourself. Jesus said to love others as we love ourselves. Really enjoyed your post. Such a beautiful post. It spoke to my soul in a way I was not expecting and I humbly thank you for this as well as the inspiration for the journey. Bless you. Wonderful metaphor. Uplifting post. Thank you. Great blog, just excellent. I enjoyed it! What an awesome post! Thank you for the encouragement. But I still ain’t rock climbing! 🙂 Change well…..if I have to. Peace and rich blessings to you. Your words truly spoke to me. It ia so hard to let go before reaching for that next step. As I read further my eyes began to water and it was then I knew overwhelming this is my story. I am paralyzed by my comfort. Thanks for this awesome reflection! 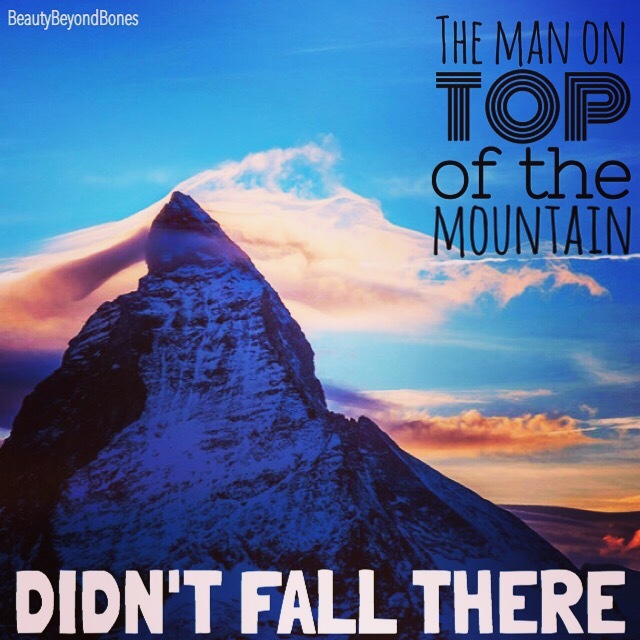 You’re right-you’ve gotta give it your all before throwing in the towel:) what an awesome way to face your fear. You go girl! Thanks for reading! Xoxo hugs! 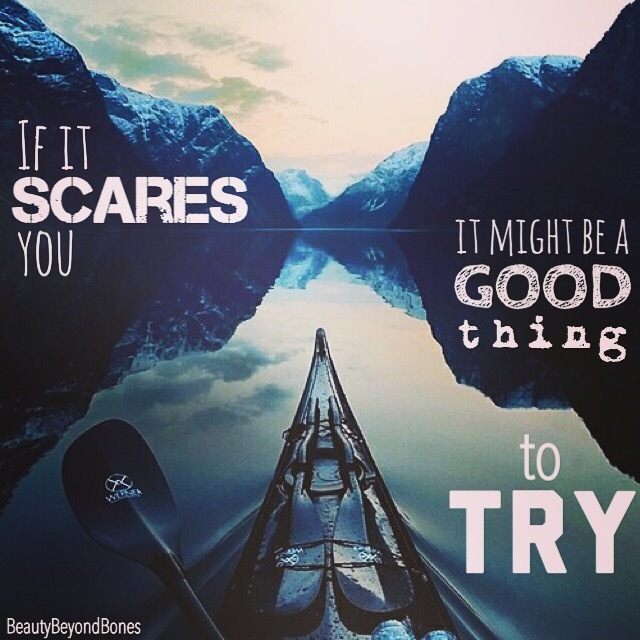 “zombie-apocalypse life skill” LOL…..great post and very encouraging….gosh, you’re beautiful! Thanks David! Haha yeah gotta watch out for those zombies 😉😉😉😂 and gosh, what a kind thing to say! Thank you! Have a great night! That’s probably the most perfect way of describing where I’ve been for the last year or so – kind of just floating in the in-between of a job and a town and a life too busy to be able to listen to where my heart’s actually tugging me; “Further up, and further in,” as C.S. Lewis put it. Now I’m shifting my balance for that little leap up to the next hold and trying to remember that it’s right where Jesus assured me was the next place for me to be. –what I’m finding out is it really does get stagnant to stay in one place longer than I’m meant to; when the glory lifts it’s time to pack up camp and get ready to go, but I find myself lagging behind so often. I like the way you paralleled this message to rock climbing. But there ain’t no one, no where, no how gonna git me to climb a big ol’ chunk of rock!!! Hahah 😂😂 thanks Lizzy. Yeah, rock climbing is definitely a “love it or leave it” kind of sport! I don’t blame you! ❤️ thanks for stopping by, my friend! Have a beautiful night! Thank you so much John:) I appreciate your thoughtful and wonderful reflection. I love that visual of the rope. You’re so right-it takes an astronomical amount of courage to grab onto that rope and decide to climb. Thank goodness that we have a Savior who is there to catch us, no matter what. I find such comfort in that. Thanks, as always for your kind and affirming words! Have a great rest of your evening! Hugs! You are one strong, beautiful, courageous, inspiring young woman! I love your story and the faith you put into Jesus, through him all things are possible. Love and hugs, thank you for this beautiful post! Oh my gosh thank you for such kind words, Susan! That means so much. You’re absolutely right: with Him ALL things are possible! Sending hugs and love ☺️ thanks for reading! Beautiful and strong analogy. Following God really gets us into scary places, but he gets us to the next safe place. Thanks for sharing this. This was an amazing post! I am inspired by what you have accomplished. Thank you for writing. Hey, BBB – all I can offer is that it seems like the cocoon has opened and the butterfly wings are spreading. I may not be commenting here as much but for some reason these words from my t-shirt seem important: “Love’s infinite possibilities are beyond our control, but only let it pass through us to the people and places we love, and it returns to us multiplied EVERY SINGLE DAY.” It has something to do with not trying to carry other people’s burdens, but simply acting as a conduit. I wish you all the best and am so grateful to you for the inspiration and light you shine into the world. Blessings, and may the Spirit of Love be with you in all things! Thanks for the compliment, but I have to defer to john 14:10. There can be great sorrow as well in that place. I remember when you wrote about finding Jesus. I could feel your heart poised to break in that moment, and my heart was breaking with you, and then came the great joy of your release. It is not an easy journey that we have chosen. “Holy moments bind the past a future through a conduit of love.” It is only in reaching ahead to make the connection from the past to the longed-for future of love described in Revelation that I find the strength to support the broken hearts that I am given to tend. How strange when our safe places become our sepulchers. Avoiding pain necessitates a sealing off of the heart, of courage, of forward movement. Safe and comfortable, we suffocate within the walls we built to preserve our lives, laying ourselves down in coffins made by our own hands. Suffering is a hard subject regardless of context, especially for those of us who hail from Western cultures. Christianity is tolerated, if not accepted and at the head, in our society, and suffering for our faith, whether for the part of our own path God leads us on or for the sake of others, is terribly shunned, and certainly unknown. Jesus said that we would suffer, yet we avoid suffering even when it may set us free. One of my favorite lyrics says that ‘letting go gives a better grip’. It is a matter of what we hold onto. Jesus could just as easily have said, “One cannot serve both God and comfort.” Will we hold onto God or comfort? Failure should never be more fearsome than inaction. What if Jesus was scared to fail in the great task set before Him? What if He was afraid of the cross and stayed home in Bethlehem instead of going to Gethsemane? Our fear of stepping out does not affect us alone, but those around us as well. Be brave; others need you. Lovely writing as always. Glad you share your bravery with others. The comments show clearly enough the difference it makes in people’s lives. You are a brave woman and a wonderful writer. This was such a beautifully written and inspiring post, full of hope and positivity. Thank you. Love this! There is no growth if we are staying where we’ve always been. Therefore, if we desire to be drawn closer to Christ, we can, and should, expect some stretching! With the ultimate goal of understanding our comfort can truly only be found in Him. Thank you for sharing! I always had vertigo when I climbed walls in the gym at school. My life looks a bit like this feeling of lacking safety quite often. I could never reach the top. Hope now my life climbing gonna feel easier and less scary. Just the inspiring read I needed to start my day, I loved it, thank you! Your post is right on. I’m thankful that my Lord is always with me no matter what the circumstances may be. Blessings. Hey Russ! Thank you. You’re so right-He is always with us and has our backs. What a comforting thought. Thanks for stopping by! Have a great day! Exciting backdrop to the message talking about rock climbing. Led into the message nicely. Thanks so much Harry! I appreciate your feedback. ☺️ glad you stopped by! Preach it, mami chula, the good news because we are commissioned in Christ to do that very thing — preach the Good News! Great post, beloved…got me fired up and praising Jesus! Wooooo!!! Thank you for this ministry! I have taught college students for 27 years, and I can witness that the message you share is much needed. Keep up the good work! That was courageous in a couple of ways! It’s exciting to step out of yourself and reach for God, and to reach for that grip. This was an intriguing read all the way through… I really picked up on that uneasy feeling too! Excellent effect! Aw thank you so much! You’re right- reaching out and trusting God is always scary. But the rewards are so worth it. Thanks for stopping by! Have a great weekend! Thank you for sharing those words. One thing I have learned through rock climbing is that you are forced to “be” in the moment. You can’t dream about the past or ponder about the future when you are holding on by your fingernails 100ft from the ground. Thank you so much! Oh my gosh you’re absolutely right: you have to be 100% present and in the moment. So true! Thanks for that insight! Glad you stopped by! Hugs! Aw thank you so much Marisol! I’m glad you enjoyed it:) thanks for stopping by! Hugs! Love your analogy and relating it to life! Yes, God will never leave us nor forsake us – we just cling to our own limitations as we forget that God is our lifeline with a firm grip on us already! Great blog!! Thanks Solomon! You’re so right-God will never forsake his children. How comforting to know we have that lifeline that is ALWAYS there! Thanks for stopping by! Hugs! Thank you so much for the reblog! Hugs! I love your sharing of this experience and your imagery you use about it. You will keep ascending to great heights and that beautiful person will triumph over the things you wish to fall by the wayside with each stone you reach. You are amazing and beautiful inside and out!! Xox. You have a great weekend too! Always You. Great article about rock climbing, life and Jesus, spirituality! I used to live near a Wildlife refuge that had a “mountain.” Technically, it wasn’t tall enough to be classified as a mountain; yet, the name stuck. It had huge boulders and rocks that I loved to climb. I climbed all the way to the top once, barefooted and bold as the buffalo grazing below. Once I got there though, I sought my spirituality through the use of marijuana and I’d smoke a joint and feel a peaceful serenity come over my soul that I associated with Mother Earth and Nature. Yet, my dad was abusive. He would not only get angry and yell on a daily basis, he also sometimes hit my mom as well as my sister and I. Once, he literally beat me so hard with a wooden spoon that it broke in half…I ran outside and climbed the highest tree and escaped the wrath by finding comfort in nature. However, after all the things that happened to me later in life, I have now returned my heart back to Christ. I had a lot of time on my hands in the institution; I wanted the truth. So, I studied several religions for a while and then asked my dad for a good study Bible. I thank Jesus that my family has never completely turned their backs on me. It is sad to hear how some people with mental illnesses have been banned by their original family. I always try to share the Light and speak to everyone equally, for to me, we are all in it together. Hi LaVancia, wow, thank you so much f or sharing this. I am so sorry that you had to suffer that abuse. That absolutely breaks my heart that someone who was supposed to protect and love you would violate a child like that. Know that you did not deserve that treatment. you are good. and worthy of being loved and cherished. I’m so glad that you’ve found the loving arms of Christ. How incredible to have a Savior who will whisper to us our worth. And you’re absolutely right: we ARE all in this together. Thanks for stopping by. Sending you so many hugs my friend. When I read your title, I got super excited thinking you were writing about thinking like a Coloradian, but when I started reading your post I was even more excited. I love the imagery and parable that you used. It reminded me when Jesus said “Take my yoke upon you…for my yoke is easy and my burden is light” (Matthew 11:29 & 30 KJV), Awesome, Thank you! Why did this post make me cry! I honestly feel as if I have been living in a comfort zone with room to make many changes in my life. Thank you for this beautiful post and the encouragement! I would certainly be trying something that I’m scared of like going to the Middle East. Yes, indeed we are connected to Jesus so point in being scared of going to the Middle East. This is beautifully written!!! <3 It can be hard to take that leap of faith, but I think that the fact that you were scared before is what makes you feel that more accomplished in the end. 🙂 Thanks to you for sharing your story! Great image of struggle and perseverance. Some awesome thoughts on getting out of the comfort zone and moving forward in life. Thanks for sharing! So needed to hear this. Thank you! Such a lovely, encouraging post. And written so engagingly with so much beauty without getting preachy. Wow! Loved it. Thank you so much Ray! That really means a lot. I appreciate your kind and encouraging words. Hugs! We are connected and tethered to Jesus! Great post. An awesome visual – Jesus is the cord that holds us up during that next step! Beautifully put. Jesus is faithful. He never promised us a bridge over troubled waters, but instead a pathway through them. Keep moving, you’re awesome. Thank you so much Joe. Wow, I love that analogy. I’ve never heard anything like it before, but you’re so right. He will provide us a pathway through the storm. Thanks for stopping by and for sharing this great insight! hugs! Indeed. I hope I’m sensitive to the sensation of being “too comfortable” in whatever I might be going for. I think people already get suspicious of that sensation, but usually because they think something bad is going to happen because of how easy it seems now. You know: when will the other shoe drop? But it’s best to face that dropping shoe head-on. Don’t let chance lead; let it be a conscious move of faith. Thank you so much! Ahh yes–the shoe drop phenomena. What great perspective. You’re right- love in faith, not by chance. Thanks for stopping by! Hugs! Hello again! ☺️ thanks again for your beautiful reflection. you’re right- letting go takes so much courage and leads to unimaginable freedom. Amen sister–let’s celebrate soul beauty! ☺️❤️❤️thanks again for taking the time to read my posts! Have a lovely afternoon! So true…. whether it’s challenging yourself to recover or challenging yourself in new situations it doesn’t matter, both will see you push your boundaries and develop new strengths. Well said. Thank you so much! You’re right-busting out of your comfort zone is beneficial in so many ways. Thanks for stopping by! Hugs! So true! For me recently, it was my first blog. I can really relate to the illustration of trust from rock climbing from spending the last 8 years of caving and rock climbing all over the southeast. Thank you so much! ☺️ wow what an adventure! Sounds incredible. And amen to that! Jesus is the BEST belayer☺️ thanks for stopping by! Hugs! A very nice piece about courage and where it comes from. As I do you! Thanks for your friendship! I like to be outside my comfort zone. I aspire to be an alpinist. You have captured with this article all my reason to decide it to be. (Except for Jesus 🙂 but I get your point. You turned your pain into a gift for others. You are a courageous young woman. Keep walking forward. You carry many people along the beautiful road with you!